The developer who is building a new luxury condo complex at the site tapped Ritz-Carlton to run the premises, which will have 126 residences, including 111 units in a 9-story condominium building and 15 single-family homes. “We think we’ll get a fair share of overseas buyers, but a big buyer base will be local Miami Beach residents looking to upgrade or stay in that neighborhood,’’ Sternberg said. 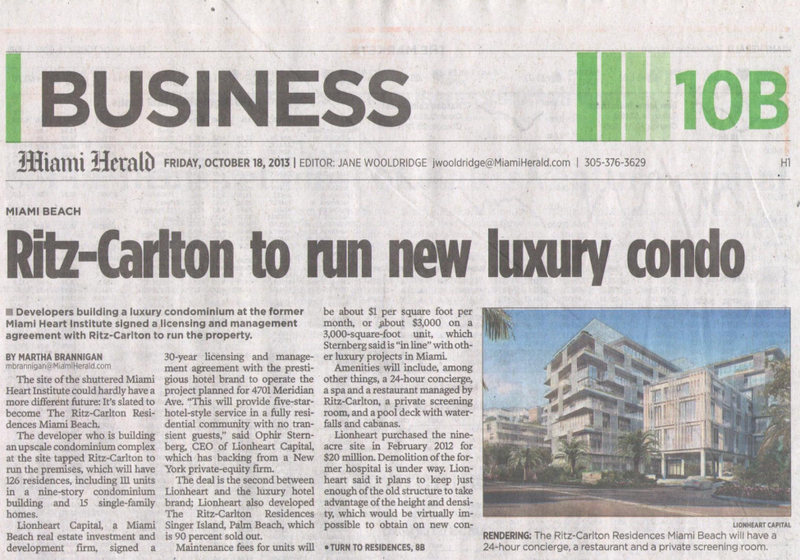 “A lot of condominiums in Miami Beach are on Collins Avenue, which is very transient and hard to raise a family.